The ANU Union will open this week in the space formerly known as “ANU Commons”, situated under Lena Karmel Lodge. 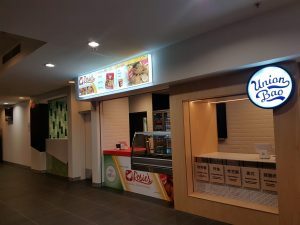 All vendors will be operational from Thursday, including the ANU Union Bar, and crowd favourite Rosie’s Chicken. The ANU Union has not had a physical on-campus presence since mid-2017 when the Union Building and the ANU Bar were cleared to make way for the Kambri precinct. The redevelopment was initially delayed by a legal dispute between the Union and ANU over the demolition of Union-operated buildings. 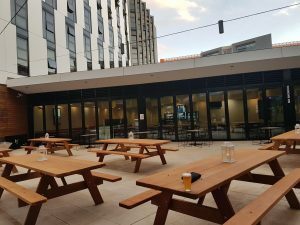 Last year, ANU and the Union reached a successful lease negotiation for the ANU Commons space, despite some tensions over whether to include “ANU” in the name of the bar. The precinct a number of beer gardens. ANU Commons previously housed a bar, called the Snake Pit, in late 2016, run by the Unilodge Residents’ Committee. According to 2016 President Howard Maclean, there was significant student support for the bar at the time, but it was ultimately short-lived and did not return in 2017. The Snake Pit had to work around the 10pm noise curfew for Unilodge. It is unclear whether the new ANU Union Bar will have to abide by the same rules. 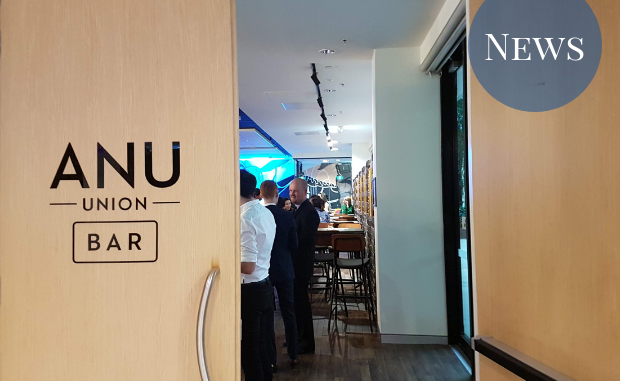 With renovations of the Commons space complete, ANU Union Bar had a soft-opening with a VIP night last Friday. All vendor facilities were open for viewing, and Observer understands that Phil is back behind the bar. The current chair of the Union Board, Francis Claessens, noted that with this opening the Union plans to “deeply reintegrate into the university” by providing a “space where clubs can come and have functions” and a venue for artists and afternoon music sessions. All vendors in the precinct will open on Thursday. Tom Lindenmayer, the previous ANU Union Chair, reiterated his hopes for the Union to “invest back in the university community”. Lindenmayer further noted that the new venue is “perfectly placed for the Union to once again meet its constitutional obligations” According to the ANU Union constitution, this includes providing “high quality, cost effective facilities and services,” and “providing a recognised meeting place and social centre for its members”. In addition to the ANU Union Bar, the precinct will also house several new vendors including Union Bao, Naughty & Nice, Juice Box and Fix. The opening comes as four new board members were elected last week. Three were elected under the ANU Labor Left aligned ticket “Revive”, with the ANU Labor Students- aligned ticket “Relaunch” taking the remaining seat. Eliza Croft and Jessica Whiting attended the VIP Launch. They had no role in the writing of this article beyond giving notes to the reporter.